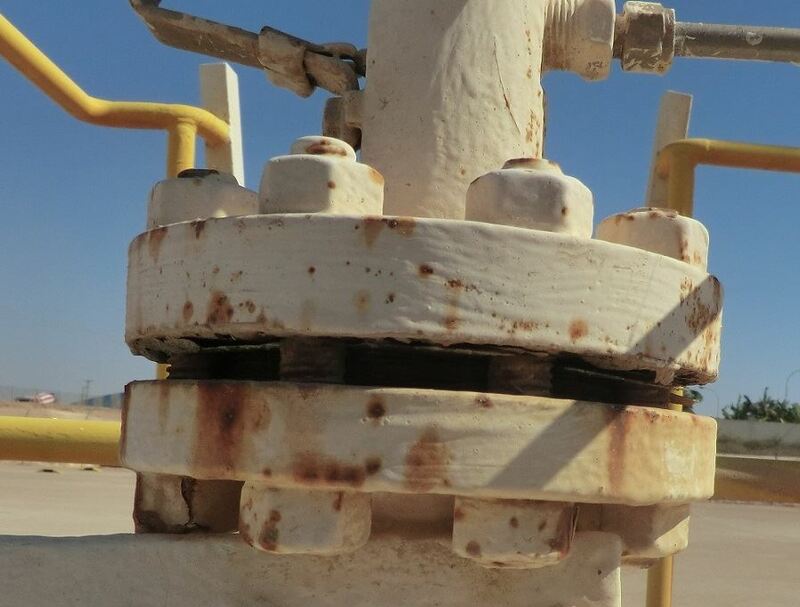 Takeaway: Learn how the use of a peelable, resealable membrane technology protected more than 500 flanges from severe weathering and galvanic corrosion at a gas supplier site. Chloe Hirst is affiliated with Belzona Inc. and can be contacted using the options on the right. For info on how we work with industry partners click here. Over the years, the repair and maintenance industry has employed many different techniques to combat the problem of flange corrosion. 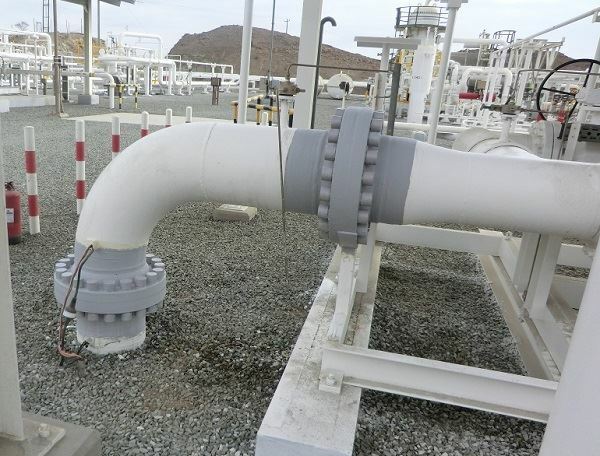 Conventional paints, mechanical covers and clamps, polymer tapes, hot-melt thermoplastics and polymer bags with volatile corrosion inhibitors (VCIs) all offer solutions to protect flanges from corrosion, but they are not without their drawbacks. Indeed, due to the cost and time implications of deploying a specialist application team to reinstall a spray coating protection system on hundreds of flanges at a gas supplier in Oman, the owner sought an alternative solution that would bypass these expenses, as well as the lengthy downtime that would be incurred. A particular encapsulating membrane technology facilitates quick and simplified installation and inspection, which can be completed with minimal manpower by the company’s own maintenance staff. The gas supplier in question decided to commission this system for the protection of over 500 flanges on the site. 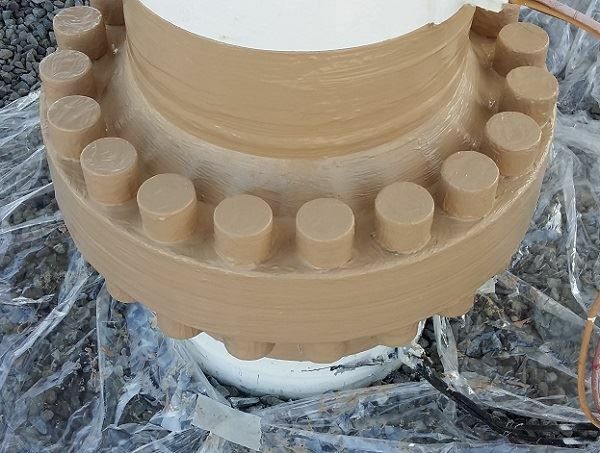 Following an inspection, this flexible and peelable coating was chosen, as it will completely encapsulate the several hundred flanges, no matter the size or shape, protecting them from moisture as well as crevice, galvanic and atmospheric corrosion. When used in conjunction with a corrosion inhibitor, the brush and cold applied system will successfully fortify the flanges with long-term corrosion protection. In terms of inspection, this solvent-free coating can be easily cut and peeled back to allow access to fastenings. On completion of the maintenance work, it can simply be reinstated with the application of a further layer of material. 2) To seal the gap between the flange faces, a strip of instant bridging tape was used. Masking tape was then applied over the two bond areas to protect these sections of pipe from accidental overspray of the membrane material. 3) A corrosion-resistant base layer (formulated for use with the encapsulating membrane coating) was then applied onto the flange, pipe and fastenings ensuring the film coverage was even and complete. Once the base layer was touch dry after one hour, the masking tape was removed and plastic caps were fitted over the nuts and bolts. 4) A strip of reinforcement sheet was laid on to bridge the gap between the flange faces, and two more strips were applied to the bond area. 5) The encapsulating membrane coating system was mixed, and using a short bristled brush, the material was applied over the area to be protected at a thickness between 30 and 40 mils (750-1000µ). While the first layer was still wet, strips of the reinforcement sheet were embedded into the wet coating around the flange circumference and at both ends of the repair, where it bonds to the pipe, to add strength to the system. 6) Once the first coat had cured after one hour, the second coat of encapsulating membrane was mixed and applied to the same thickness as the first coat (in gray color) and was left to cure. The membrane technology was successfully installed on over 500 flanges with different shapes and configurations. Had the owner decided to use a spray applied system for maintenance, this would have required a specialist application team to carry out the reinstallation. Not only would this have required significant financial expenditure to mobilize the installers, but this would have also incurred lengthy shutdowns and downtime, leading to further costs. 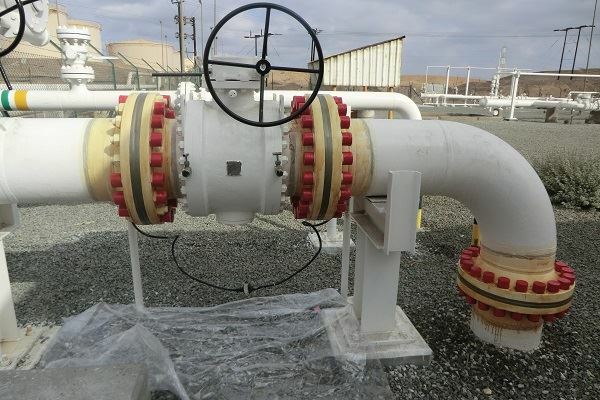 This cold-applied flange protection system, on the other hand, was able to protect the 520 flanges in just 45 days, a fraction of the time that would have been required had the flanges been protected with the previously used spray coating system. Accomplishing periodic maintenance inspection work is a simple matter of cutting the membrane through at the flanged joint and peeling it back – a process that can be done by the company’s own maintenance staff. The maintenance crew can then reseal the cut area by refitting it and adding a further layer of the membrane coating, thus successfully eliminating the need to deploy specialist applicators and saving the company valuable downtime as well as capital expenditure. Chloe Hirst received a Bachelor of Arts degree in Media and Communications specializing in Journalism from Goldsmiths College, University of London. As a member of the communications team at Belzona’s corporate office in Harrogate, she regularly writes technical articles and case studies featuring corrosion-resistant repair and protection systems for buildings, structures, machinery and equipment. Her work covers a range of different polymeric technologies, including pioneering new materials which provide long-term corrosion protection in underwater, wet, or oily surface conditions, as well as a new advanced composite wrapping technology that can restore strength to weakened or pitted metallic substrates without the need for hot work or lengthy downtime.